A hobby can add a new dimension to life. Mr. Krishna Lanjewar is a perfect example of this fact. Today we would be talking to him about his birding journey and ways in which it has contributed to his life. Mr. Krishna Lanjewar who is a government employee is a well-known birder from Nagpur. Since when have you started birding? Krishna Lanjewar: I have started birding since past 5 years. It so happened that… five years back I got transferred to Kalamb in Yavatmal district. I often went for walk in the nearby forest area. I used to see lot of birds there. Over a period of time this routine walk developed into my birding hobby. BirderPics: Will you tell us about birding spots in your vicinity? Krishna Lanjewar: There are many spots near Nagpur; Khapri, Mihan, Ambhazari etc to mention a few. Krishna Lanjewar: Jim Corbett National Park, Tadoba, Bharatpur, Bhigwan, Shivri , Bor wildlife sanctuary , Nagazira, Umred Kharanda, Pench , Kanha, Bandhavgarh, Kalamb, Durug. Krishna Lanjewar: I would say it was Jim Corbett. I have two unforgettable memories of that place. 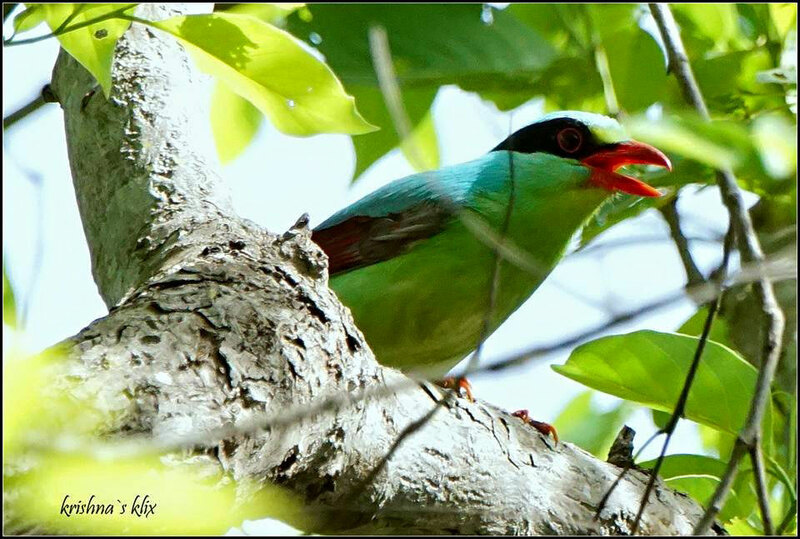 The first memory which makes me tearful was the one when I heard a shrill sound of Green Magpie. Our group hurried to the spot where we saw a monkey which had snatched Green Magpie’s eggs from its nest and was feasting on it. We couldn’t help it and helping was not ethical too, as this is nature and a part of the food chain. I felt very upset at that point of time. The second experience was a very pleasant one, where I and my group members heard a laughing sound in the jungle. 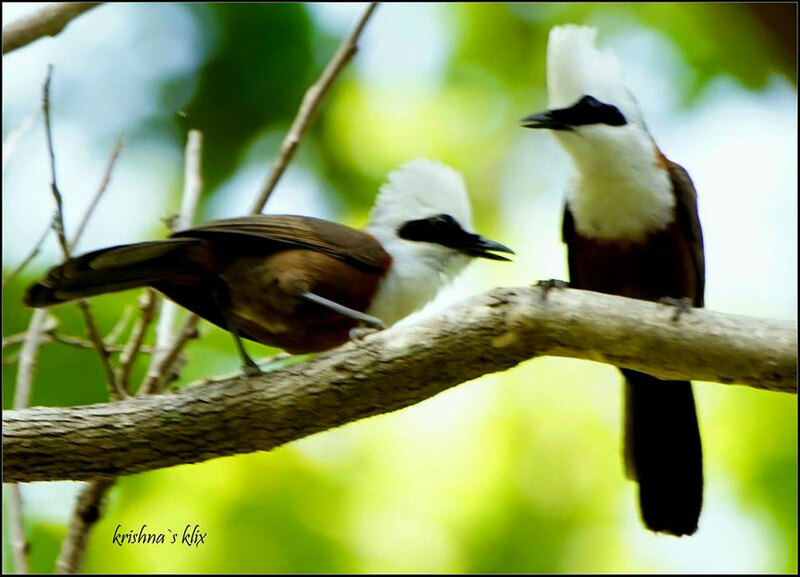 Initially we thought that some ladies were laughing but to our surprise it turned out to be a flock of White Crested laughing thrush making that sound. I could manage to take only one or two snaps of a pair as they were moving around. BirderPics: Among birds, which one bird fascinates you the most? Krishna Lanjewar: If you ask me which bird fascinates me the most, my answer is fly catchers! I get attracted to these beautiful small birds which skillfully catch insects in air. Krishna Lanjewar: In November I have plans for Gir where apart from Asiatic Lion one can also spot beautiful birds. I would really love to go to Kabini and Thattekad someday in the near future. Krishna Lanjewar: You will not believe how much I have gained because of birding. I am not talking in the context of money or other economical benefits. It is something more than that. A few years ago, I was detected to have blocks in major arteries of my heart. This diagnosis was definitely disturbing. But then doctors advised me to nurture a hobby and luckily these beautiful birds have come into my life. Birding gives me immense joy and inner strength. One will not believe it but at present I can walk 10 kms at a stretch without getting any symptoms of tiredness. BirderPics: Which is your preferred timing and season for birding? Krishna Lanjewar: Every season is a birding season for me, as you can always see birds specific for that season. But winter is preferred as a large number of birds can be seen during this time. Krishna Lanjewar: Sony Alfa 57 and Sony Alfa 77 Mark 2. Lenses – 18-55mm, 55-300mm, 70-400mm and 500mm lens. BirderPics: Would you share the names of two birders with whom you will like to work? Krishna Lanjewar: I would like to work with Mr. Anirudha Bhagat and Mr. Sanjay Kholia. Birderpics.com is very happy to publish this interview of Mr. Krishna Lanjewar We are thankful to him for his time and inputs.